Is living on 53 pounds a week possible? You are here: Home / News / Is living on 53 pounds a week possible? 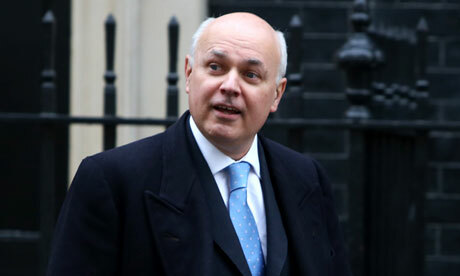 Iain Duncan Smith has caused a stir with his latest claim that he would be able to live on 53 pounds a week. He made this claim during an interview on BBC Radio 4 where he was defending the new reforms that are being implemented on the various welfare departments as part of the new government’s deficit reduction program. There has been a petition set up on http://www.change.org/en-GB/petitions/iain-duncan-smith-iain-duncan-smith-to-live-on-53-a-week where UK citizens are wanting Iain Duncan Smith to prove whether or not he is capable of living on 53 pounds a week. This article has a lot of information regarding the new program and how the bedroom tax has affected normal citizens, definitely worth the read!